Barramundi that once called Crooked Waterhole home have returned to their iconic North Queensland waterway home less than two years after our work to restore the wetland began. Coastal wetlands play an important role in improving the health of the Great Barrier Reef, filtering fine sediment and nutrients from the waters of the catchment before it flows onto the reef. 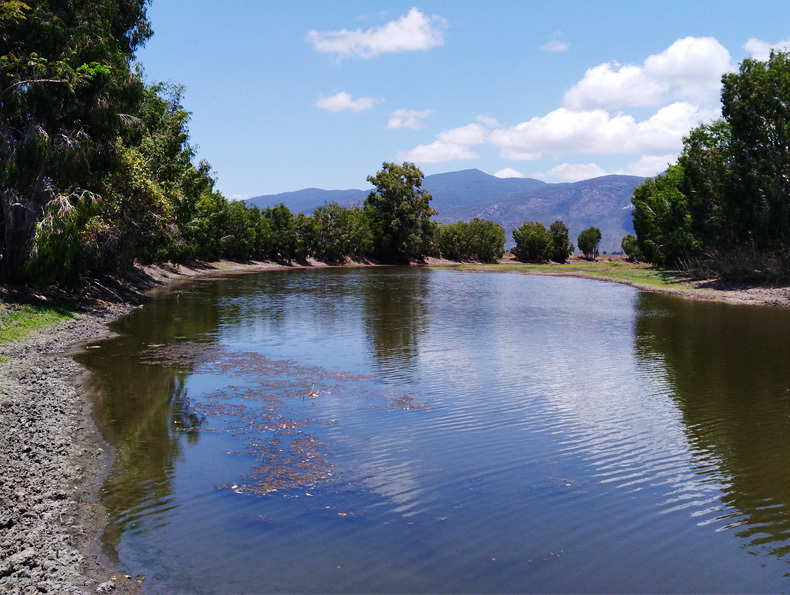 Crooked Waterhole, a property at Giru south of Townsville, contains one of these valuable wetland habitats that drains into the Haughton River, one of the large rivers that flows directly into the Great Barrier Reef lagoon. Along with other properties on the Burdekin floodplain, Crooked Waterhole is renowned for its high ecological value. But when the Griggs family took over the property in 2015, it was clear that the once legendary creek had been neglected. Exotic weeds were choking the waterway, leaving oxygen levels near zero and leaving a wetland largely devoid of native bird and marine life. 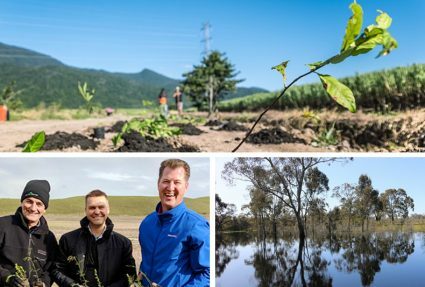 To restore life to its stagnant waters, Greening Australia worked with landholder Neale Griggs in late 2016 to clear three kilometers of weed chocked channels. 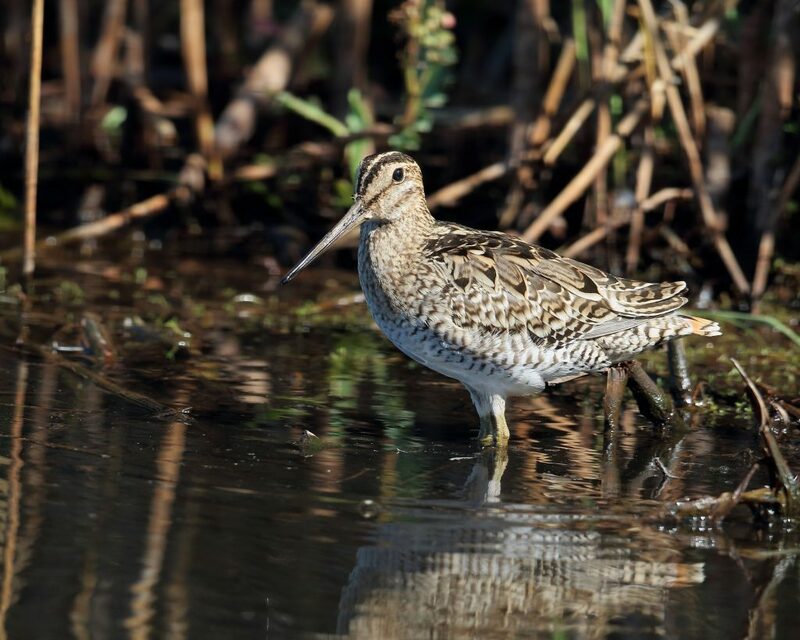 The first signs of progress could be seen less than a year later when an international migratory bird species, the Latham Snipe, was spotted at the site by partner organisation, Birdlife Australia. A year on, work undertaken to measure water quality and track different fish species recovery by James Cook University and TropWATER, Australia’s leading aquatic research group, has uncovered up to eight sightings of Barramundi – a strong indicator of improved water quality on the site. A Latham’s Snipe, an international migratory bird species. “Before restoration begun, the water quality was extremely poor with only two tolerant fish species found in the wetland. But earlier this year, we began catching juvenile barramundi at Crooked Waterhole, and we’re recently caught slightly larger barramundi at this site, possibly suggesting these fish are growing ready for the next wet season migration to estuaries to complete their life cycle,” said Principal Scientist Dr Nathan Waltham. “We’ll know the full extent of the progress when we release a formal report early next year, but the signs so far have been extremely pleasing,” he said. 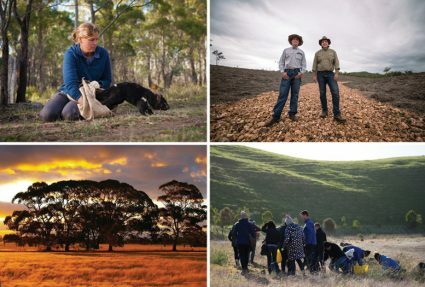 The success of the wetland restoration has resulted in two adjacent landholders engaging Greening Australia to expand work onto their land, and subsequently, another 2.5 km of waterways is being cleared of weeds upstream, encompassing the entire catchment. “We’re thrilled with the work that has been done so far, and by extending this to neighbouring properties upstream, we’ll not only be able to improve water flow significantly, but also reduce the weed maintenance work we have to do downstream,” said Greening Australia Project Manager, Dr Lynise Wearne. 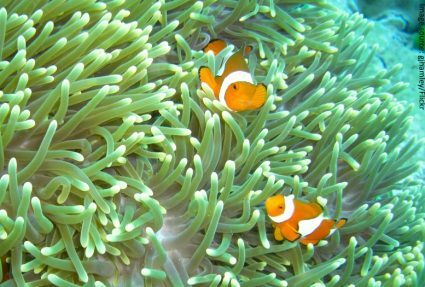 This Reef Aid project is supported by the Australian Government, Ian Potter Foundation and Virgin Australia, and delivered in partnership with the Reef Trust. You can lend your support by donating at www.greeningaustralia.org.au/donate/reef-aid. All donations are matched dollar for dollar by the Australian Government.